Just because you live in a condo does not mean that you can’t do much with its décor. In spite of the small space, you can actually decorate it attractively and liven up your surroundings. This holds true for your kitchen too. Though the condo kitchens are usually small, you can still design these in a creative way such that they are more functional and at the same time look elegant. Wondering how? Take a look at some of these modern condo kitchen designs that would be inspiration enough for you to design your condo kitchen. 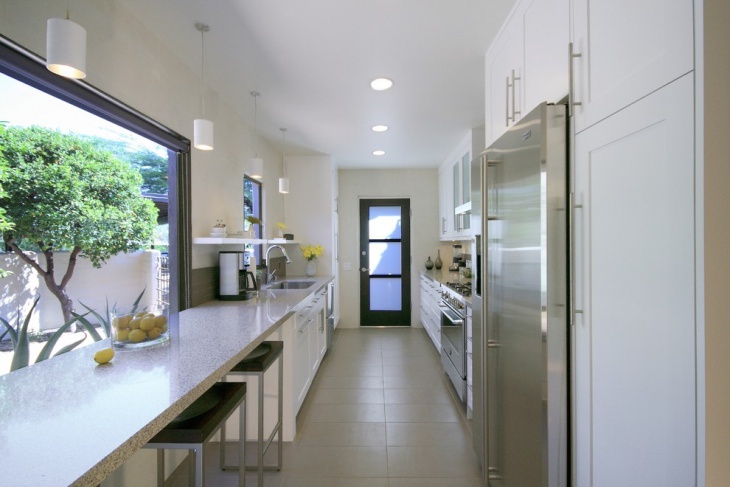 Do you have a long kitchen in your condominium? Well, you need to design it in such a way that it does not end up looking like a bowling alley. Put in an L-shaped counter across two walls. Top these with granite countertops and add in a cooking range in the middle of one counter and a sink on the other. Put in some drawers and cabinets under the kitchen counter to add in some storage space. You can also add some covered shelves over the counter area. On the opposite wall, build floor to roof cabinets, leaving enough space for the refrigerator and microwave oven. 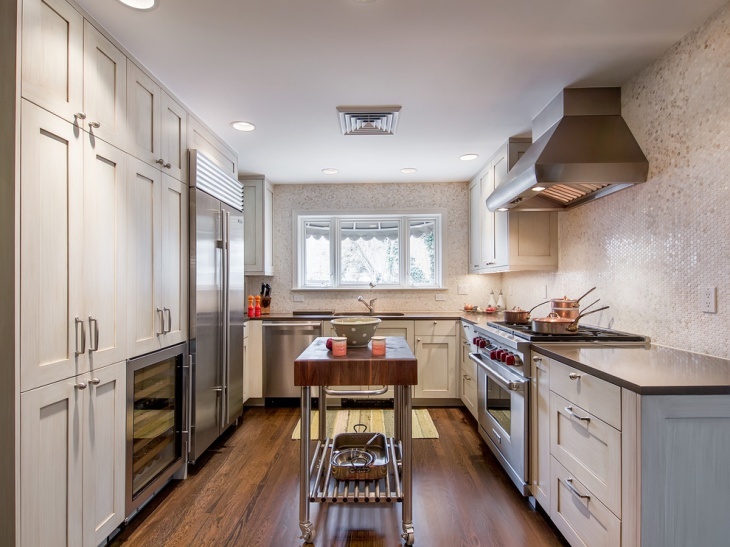 Paint all the cabinets and drawers in white to add elegance to your cooking space. You can even put in a sleek rectangular table in the middle of the kitchen to act as your work counter. Use white marble flooring for your open kitchen in your condo which would be in contrast to the wooden flooring in the rest of the house. Add a kitchen counter on the far end with a countertop made from white marble and put in a stainless steel sink in the middle. Design cabinets on the adjacent wall in dark wood. You can also design stands that would hold your electrical appliances here. Opposite to the kitchen counter, build another counter and cover it with a black granite slab. You can fix your hob to this top. Place a few chairs on the other side of this counter to double it up as a breakfast counter. Light up the whole area with hanging LED bulbs. If your condo has an open kitchen, it would be a good idea to use the same color schemes to do it up as your living and dining room. Start by adding in white granite countertops to the kitchen and use dark wood for cabinets and drawers. Design a special space in the kitchen wall into which you can fit in your oven. A chimney, gas top and sink in stainless steel would give your kitchen a contemporary look. Add in a breakfast counter in white and black at one side of the kitchen, preferably the one that opens to the living area. 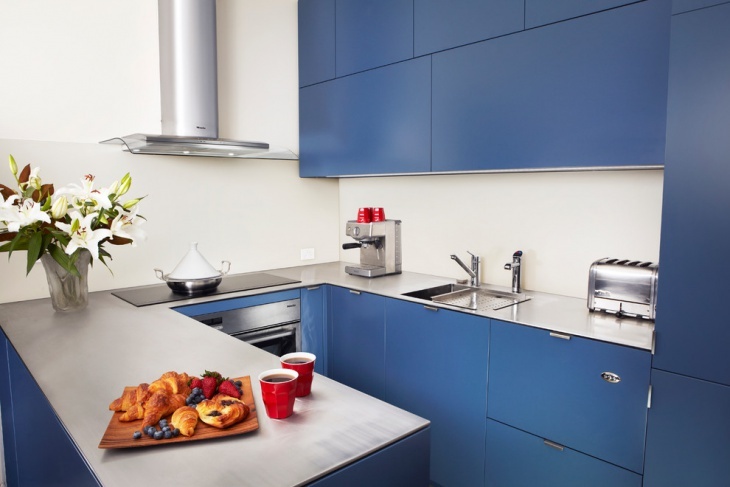 Give your small condo kitchen a cool look by adding in blue storage cabinets all around. Start off by building a three sided kitchen counter and add a stainless steel countertop to these. Beneath these counters, build drawers and cabinets that can hold your cooking essentials and accessories. Add a few more cabinets on the kitchen wall. Paint all these a cool blue to give the whole place an inviting look. 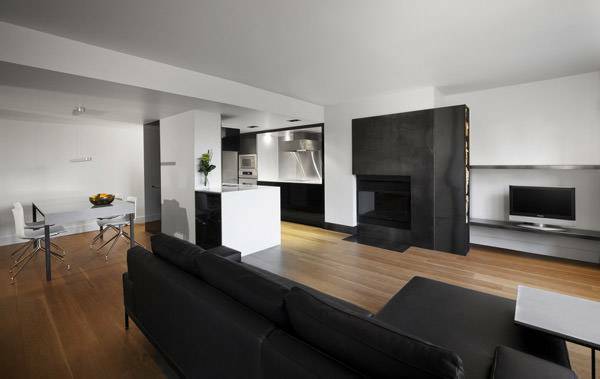 Convert your long and narrow condo kitchen into a classy one by adding a full-length counter on one side of the kitchen. Put in a marble countertop for this and fit your sink into it. This long counter can double up as your breakfast counter too. Opposite to the sink, build a small kitchen counter with an identical marble top. Build in drawers beneath this and paint them an elegant white. Place your cooking range next to this counter and the refrigerator right next to it. Build a few more cabinets around the refrigerator and some under the sink to add in more storage space. You can even add a few shelves over the kitchen counter to store daily essentials. You definitely need to put in some thought as to how to design your condo kitchen. Sleek designs and light colors would give the feeling of spaciousness and look rich. Proper lighting can also work wonders for your condo kitchen. 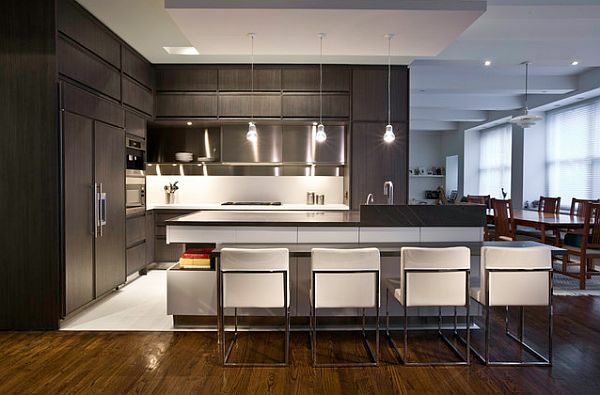 If you have any other modern condo kitchen design ideas with you, feel free to share these with us.